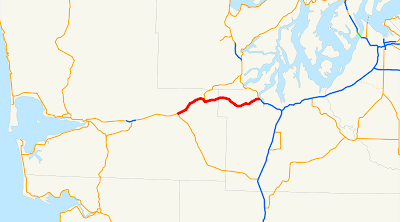 On Monday, May 26, 2008, we drove the length of Washington State Highway 8, which is a short twenty-mile segment of the freeway between Aberdeen and Olympia. 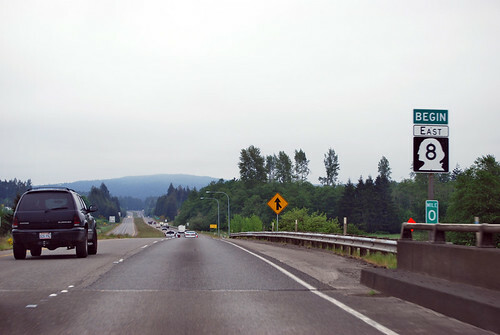 Beginning at a junction with state route number 12 in the vicinity of Elma, thence easterly to a junction with state route number 101 west of Olympia. 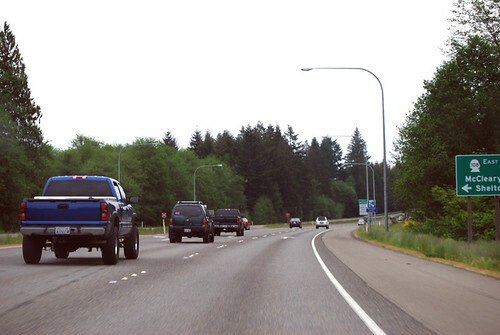 In Elma, where you need to take an exit to stay on US 12, Highway 8 begins. If you don't believe me, just read the sign. A few miles later, there's a shortcut north to Shelton on SR 108. Note that it's a left turn. This isn't really a freeway, despite the 60-mph speed limit, but merely a divided highway. 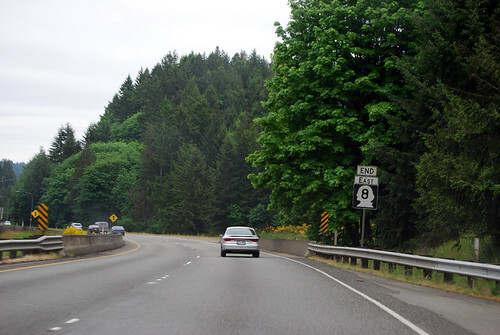 After 21 miles from Elma, a few miles outside of Olympia, US 101 comes swooping in on an onramp and takes over the main road. 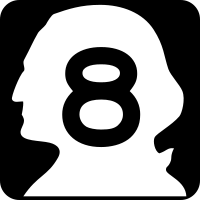 Highway 8 is at an end. If you don't believe me, just read the sign.